Parents may not enter the dugout to help pack a player’s bag. While it may seem slower initially, our players learn valuable lessons in maturity and responsibility. Make sure that everything is dry before repacking the equipment into the bag. I love all these rules! And when I saw them, I thought a lot about why sleepaway camp is so important for youngsters. I can easily recall the myriad of ways that I was able to have independence as a kid. I am reminded of riding my bike, by myself, at the age of seven, to my little league baseball field in New Milford, New Jersey, for my games playing for Boulevard Market. The highlight of those memories was not that I struck out all 13 times I was up that season, thus earning the nickname “The Strikeout King,” but the joy I had in riding to the game on my own. This is 2016 and we all know that times have changed. Today, I find that as a parent that you have to think a bit harder about meaningful opportunities for your child to develop a sense of independence, because those experiences, probably more than any other, allow children to figure stuff out without their parents hovering over them. So I just love the way that we parents will be completely sidelined by the baseball coach so the kids can have a sense, even though it might seem like a bit of a small thing (it’s just a baseball field, after all), of doing this stuff on their own, asking for help on their own, taking care of their own gear. 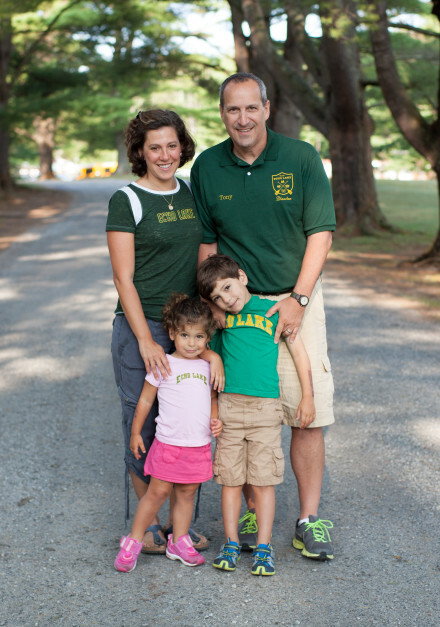 And then when you look at sleepaway camp, parents who give their children such a vast and daily landscape of opportunities for personal growth have to feel great about the tools they are giving their children. Those of us at camp are lucky enough because at camp we get to watch the laboratory in action. Those of you at home get the warm and fuzzy feeling that you are developing your kids’ independence genes. So when it is time for them to figure stuff out in school, or go away to college, or make decisions about right and wrong for themselves, they will be more ready, because they got to test themselves – in the safest of places and ways – at sleepaway camp! The days of a seven-year-old riding his bike through town to the ballpark may be the stuff of time capsules, but sleepaway camp, which has existed for over 150 years in the United States, is still THE best training ground for growing independent kids!